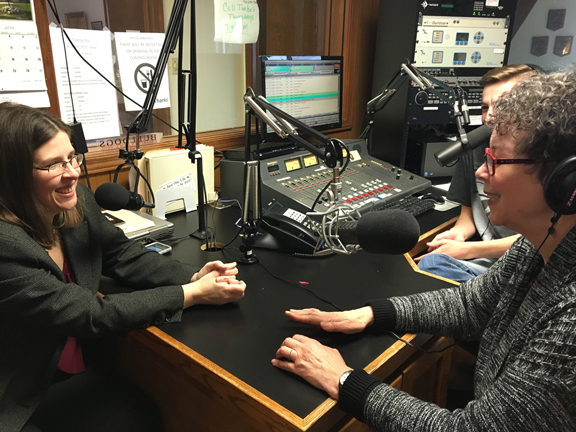 I had the privilege of being a guest on the “Savvy Seniors” radio program this week. It is hosted by Karen Nelson from the Northwest Georgia Regional Commission, the designated Area Agency on Aging for my neck of the woods. 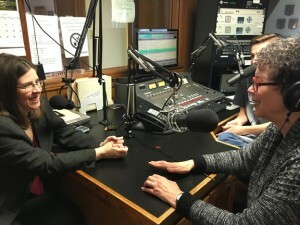 The weekly talk show features interviews with people on a wide variety of topics of interest to older adults. Since I’m a motivational speaker, the interview started with I how I got started and why I recently shifted to aging well topics. Then Karen and I discussed the power of thoughts, beliefs, and attitudes and their effect on our health and well-being. We looked at a study showing that people who had positive beliefs about aging were better able to cope with challenges. And they actually lived longer—on average 7-1/2 years longer. In another study, older adults were given either a positive report on memory and age or a negative one. Those who read the positive report performed better on memory tests than those who read the negative report. Later, we went through a quiz on aging myths. The interview was going well when a woman suddenly opened the door to the studio. The interruption threw me, and when she started mouthing words in an effort to not be heard on the radio, I was further distracted. Finally we understood that someone had called the station wanting to know who was today’s guest and what was her phone number. Although we’d given my name and website a couple of times, that information hadn’t been repeated since the last commercial break. “Someone wants my name and number,” I told listeners. “I wonder if he’s tall, dark, and handsome.” I spelled my name and started to give my phone number. But after the area code, my mind went blank. I couldn’t remember my number and this was live radio. After grabbing my purse and pulling out my business card, I was finally able to read my phone number on the air. This could have turned into a bad experience in my mind. A guest who talks about memory and then can’t recall her own phone number? But the main topic of the program was the impact of positive thinking. So rather than think of it as an embarrassing situation, I chose to see the humor in it. Score one up for improving my odds of aging well and living long! Crazy, huh? Thanks for the love.